A BUNDABERG man said he is "ropeable" over extra electricity bill charges that he believes are "cash grabs" from the government. 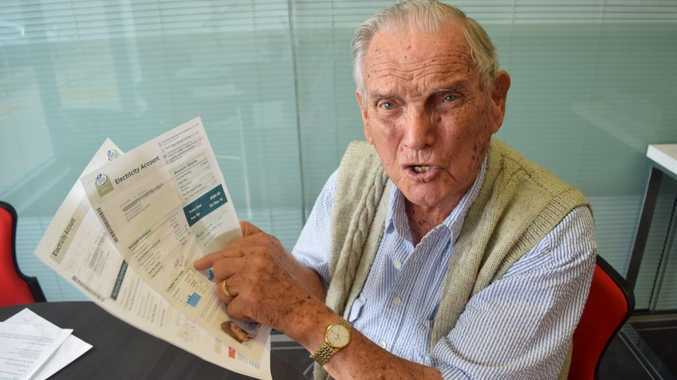 Douglas Peterson, who is 92 years old, said he received a shock after opening his April electricity bill and finding that it had almost doubled compared to his previous bill, even though his electricity usage remained the same. "I paid $84.32 for my January bill and, when I got my April bill recently, it was $164.43. That's a dramatic increase," he said. 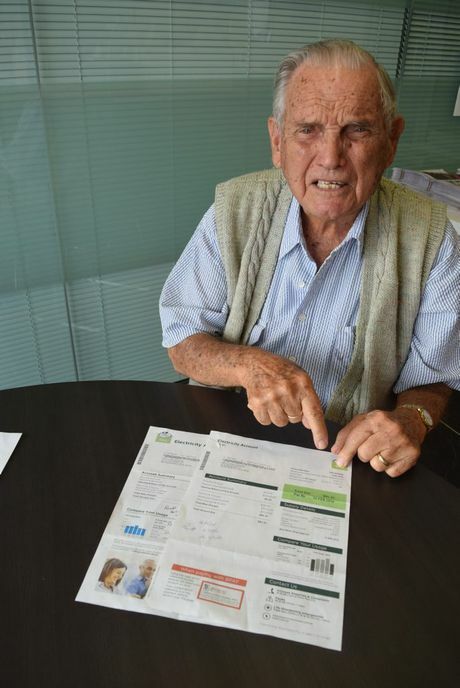 Mr Peterson, who has solar rebate, said when he contacted Ergon Energy about the issue, he was told that seasonal changes may be a factor contributing to lower solar credit and the increase in his bill. He said he was also told that due to the additional power usage in that period, the service fee had been changed. "The service fee went from $6.70 to $19.35," he said. "It is ridiculous. I think the increase is an indirect tax. Who gets that service fee? Why does it increase? There is no reason for it." But an Ergon Energy spokesperson said service fees and minimum charges were fixed charges which would apply regardless of the customer's consumption. "These prices are determined by the Queensland Competition Authority (QCA) through a formal process set by Government," the spokesperson said. The process takes into account the changes in costs of producing, transporting and selling electricity to customers. The spokesman said charges include the cost of maintaining and developing the electrical infrastructure to meet the population's growing demand, as well as distribution and connection costs - the cost of supplying electricity to homes and businesses. "Ergon Energy is required to charge customers the regulated electricity prices that are published in the Queensland Government Gazette," the spokesman said. Mr Peterson said he wanted to bring his issue to attention for others who may be experiencing the same problem. "I think this might be a problem for a lot of people but everyone just accepts it and doesn't ask why," he said. "These extra charges deprive me of using the money to help the people I would usually help. I like to support World Vision. I want to be able to spend my money the way I want to, not by paying a government body extra for no apparent reason." Ergon Energy customers who need help to address concerns about their bill, or would like more information should to contact the customer solutions team on 131046.